Here we take a look at one of the United States’ lesser-kept dog breeds: the Czechoslovakian Wolfdog. This controversial dog descends from a German Shepherd wolf hybrid. And tends to kick up a storm wherever he goes. But is the Czechoslovakian Wolfdog actually a good pet? And should you be inviting a wolf dog mix into your home? Welcome to our comprehensive guide to the Czechoslovakian Vlcak. Czechoslovakian Vlcak is the formal name for Czechoslovakian Wolfdogs used by breed registries. Vlcak is the Czech name for a German Shepard dog, so literally translated, the name means “Czechoslovakian German Shepherd”. Vlcak is pronounced vul-chARk (more or less). It’s not an easy word to wrap your tongue around if you’re not used to West Slavic languages, so Vlcaks are more usually given the acronym CSVs, or the nickname “Wolfdogs” in English-speaking countries! What is a Czechoslovakian Wolfdog? You’ve probably put the clues together by now, but a Czechoslovakian Wolfdog is a breed created by crossing a German Shepherd dog and a wolf: a Carpathian (or Eurasian – they’re the same thing) wolf to be precise. They were originally created as part of a military breeding program in the 1950s by Ing. Karel Hartl (“Ing” is a Czech academic title roughly meaning “engineer”). Hartl’s intention was to combine the temperament and trainability of German Shepherds with the strength and stamina of wolves. The breeding project spanned several years (in fact it took three years just to find a male German Shepherd who was up to the task of mating with a wolf) and was planned and documented meticulously. The first successful mating was even photographed for the military archives! The first and second generation hybrids could not be effectively trained, but their grandchildren and great-grandchildren we were successfully trained for special operations, search and rescue and border patrol. It wasn’t long before the new dogs found their way into civilian homes, and their profile as pets began to steadily grow. From 1982 until it’s dissolution in 1990, the Vlcak was even the national animal of the Czechoslovak Socialist Republic. These days the breed still has a steady following in the Czech Republic and Slovakia, as well as nearby countries like Italy and Germany. However, it’s still extremely rare in the US and most other countries outside Europe. So what do you need to know about the wolfish Vlcak if you’re thinking of getting one as a pet? Czechoslovakian Wolfdogs can look distinctly more wolf-like than German Shepherd-like. They have an unmistakeably rugged outdoorsy look, with a thick windproof and waterproof gray coat, large erect ears and narrow amber eyes. For many owners, having a pet which looks so much like a wild animal is a large part of the appeal. The breed standard calls for male Wolfdogs to be at least 25.5 inches tall at the withers (shoulder blades) and 57lb, and females to be at least 23.5 inches tall at the withers and 44lb on the scales. Czech Wolfdogs are created by combining one of our most high energy domestic dog breeds, and wolves. Keeping any type of wild animal hybrid as a pet is controversial. It is also potentially dangerous. By adding wild animal DNA into a domestic pet, you also reintroduce wild animal behaviors which can be unpredictable and unsuitable for a home environment. 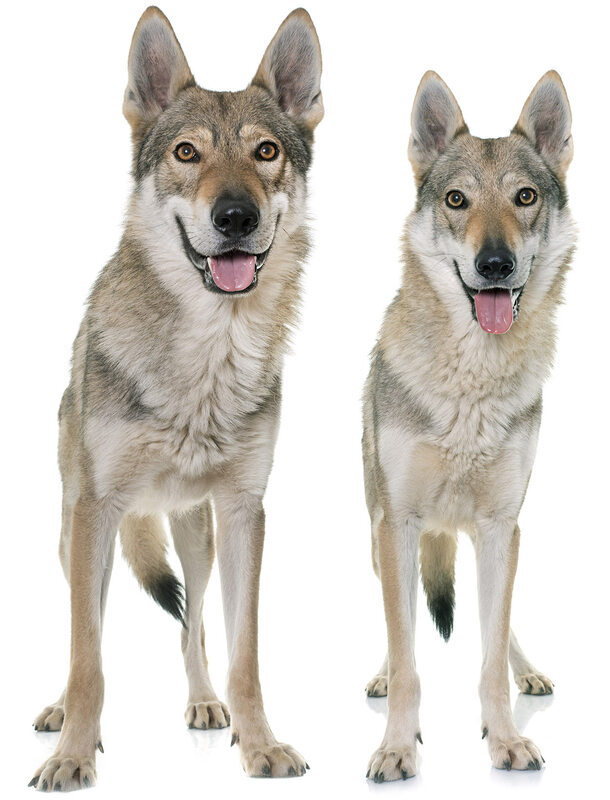 Before buying a Czechoslovakian Wolfdog, you need to think very carefully whether they will be the right fit for you, and whether you can provide the right environment, upbringing, and lifestyle for them. Despite their rarity, wolf hybrids accounted for a massive 14 deaths between 1979 and 1998. And this figure is thought to be even higher, due to owners deliberately mislabeling their dogs as other breeds. Vlcaks were specifically bred for stamina and physical endurance, and they still need a suitable outlet for their energy, or they will become bored, frustrated and destructive. This means you must find the time to train them, and put them to work. German Shepherds and wild wolves are both hardwired to work closely in a team (with other people or other wolves, respectively) and so Czechoslovakian Wolfdogs are lost without work to do and a clear sense of purpose. Few of us keep dogs to work anymore, which means we have to simulate “work” for them through play, and channel their energy by sharing our days – and our days out – with them. For Wolfdogs this means making a LOT of time to train them and socialize them, so that their wolf side understands what is expected of them, and how to behave in a domestic and public setting. They are also a high risk breed for bites, and should not be treated in the same way as a purely domesticated dog breed. So how are they likely to get on with other members of your family? Vlcaks have a high prey drive, which means they don’t get on well with other smaller pets including cats. Anecdotally, male Wolfdogs especially don’t even tend to get on with other dogs. If you already have other pets at home, this probably isn’t the right time to consider adding a Czechoslovakian Wolfdog into the mix. Are Czechoslovakian Wolfdogs good with kids? Czechoslovakian wolfdogs are not suitable for homes with children. They are not predictable in the same way as a fully domesticated dog, and wolf hybrids are responsible for dog bite fatalities. As are German Shepherd dogs, with who they are mixed. Wolf hybrids are in the top three when it comes to dangerous dog breeds. Although Czech wolfdogs ancestors are a few generations away, there are so few of them that we don’t have any reliable sources on their behavior. Czech Wolfdogs are also very high maintenance in terms of exercise and training. Moving on to health, and many prospective dog owners prefer to be forewarned about the issues which might face their pet in the years to come – especially if they could spoil their dog’s quality of life, or cost a prohibitive amount in vet’s bills. 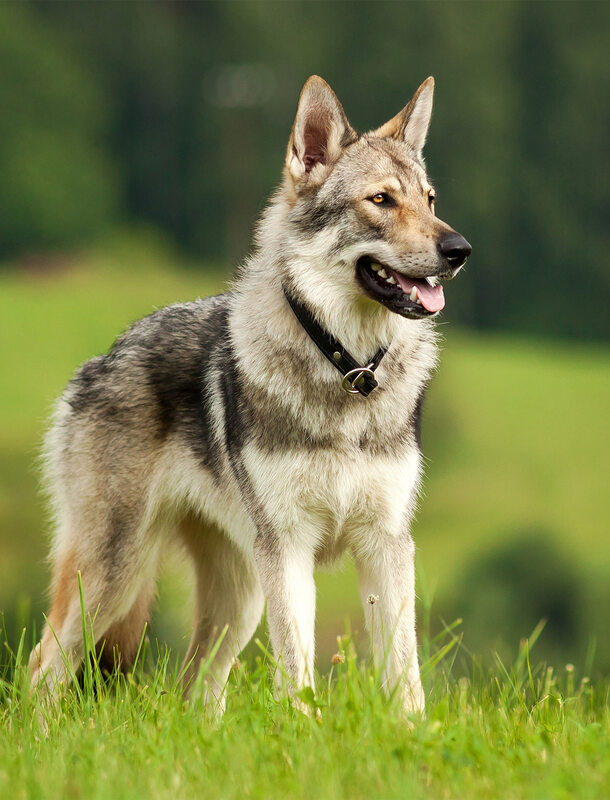 The Czechoslovakian Wolfdog breed was founded by four wolves and a great many more German Shepherd dogs. Which means that genetically, Czechoslovakian Wolfdogs today are much closer to German Shepherds than wolves. German Shepherds themselves all come from a very small foundation gene pool, so that the health problems of the first German Shepherds have become the health problems of the whole breed today. And now, they are the health problems of the Czechoslovakian Wolfdog breed too. Hip dysplasia occurs when the ball and socket joint at the hip doesn’t form correctly, so the top of the thigh bone sits too loosely in the socket. Because the two bones don’t meet correctly, they rub when the dog moves, causing further damage. Therefore, hip dysplasia is condition which will gradually worsen with time. Hip dysplasia is common in many larger varieties of dog including German Shepherds. Dogs’ susceptibility to hip dysplasia is partly genetic, which means Czech Wolfdogs have inherited the risk of developing it from their German Shepherd relatives. 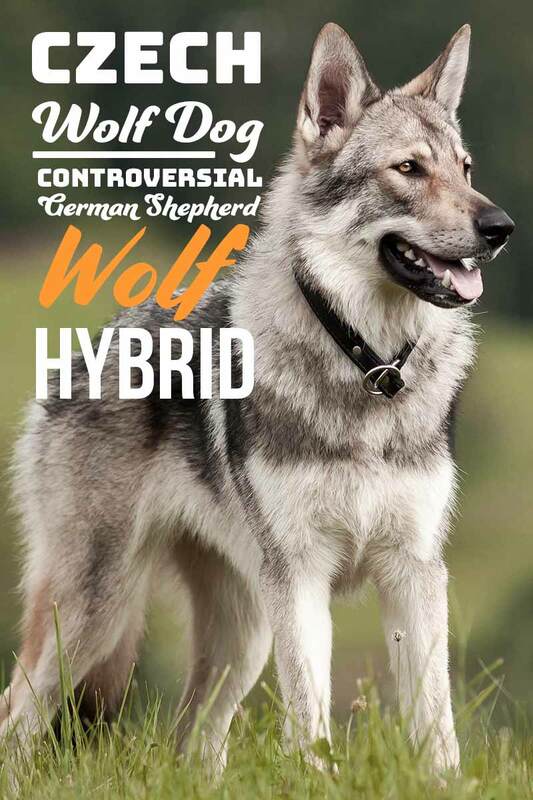 Breeding Czech Wolfdogs should have their hips tested before mating takes place, and your breeder should be happy to discuss the results with you before you commit to bringing home a puppy. Like hip dysplasia, elbow dysplasia is incorrect formation of a joint, this time the elbow joint, which can ultimately lead to lameness and arthritis. Several factors can cause elbow arthritis, but genetics are by for the leading determiner of whether a dog will develop it, and again German Shepherd dogs have passed on their unlucky genes onto the Czechoslovakian Wolfdog line. To prevent the problem escalating in the Wolfdog population, all breeders should have their dogs’ elbows checking before breeding them, and only individuals with healthy elbow scores should be used as parents. Degenerative Myelopathy is a progressive deterioration of the spinal cord which causes lameness in the hind legs, and is ultimately fatal. It it very similar to ALS in humans, and like ALS it is currently irreversible and incurable. The exact cause of Degenerative Myelopathy in dogs is unknown, but carrying two copies of a faulty gene called the SOD1 gene is known to greatly increase the risk of developing the condition. 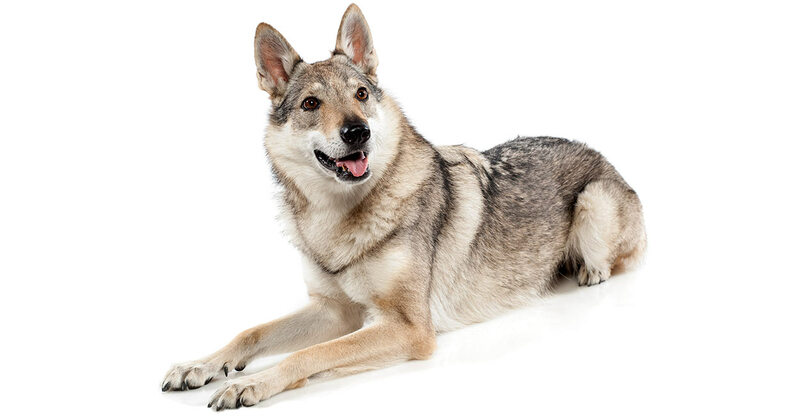 The faulty SOD1 is especially prevalent among German Shepherds, and it appears Czechoslovakian Wolfdogs have also become carriers of it . All dogs can be screened for the faulty gene, and no two dogs who are both carriers should be mated together. Your breeder should be happy to show you results of screening for both your puppy’s parents. 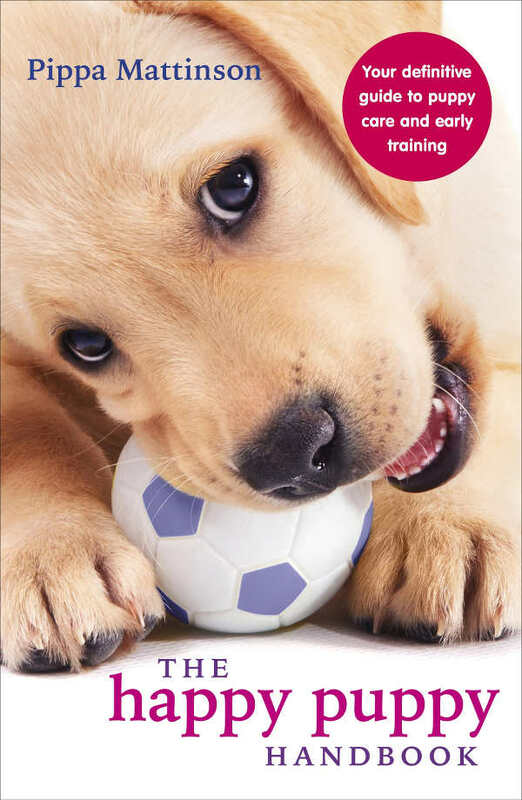 All dogs used for breeding should have had their eyes examined by a vet registered with the American College of Veterinary Opthalmogists within the last year, to check for signs of any inheritable eye conditions. A study carried out by Utrecht University in the Netherlands in 2014 found that 21% of outwardly healthy Czechoslovakian Wolfdogs used for breeding are carriers of a defective gene which causes pituitary dwarfism. 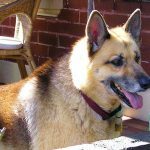 This faulty gene, known as the LHX3 mutation, also affects German Shepherd dogs, so it’s likely that one of the first German Shepherds used to launch the breed was a carrier of the mutation (bear in mind this was in the days before DNA testing). These days, a DNA test for pituitary dwarfism is widely available, and when you approach a Czechoslovakian Wolfdog breeder they should know they carrier status of both parents of their puppies. The Canine Health Information Center also recommends that breeding Czechoslovakian Wolfdogs be screened for dental problems, cardiac irregularities, and autoimmune thyroiditis. Despite being vulnerable all these conditions, the introduction of wolf DNA into the German Shepherd genome means that genetically, Czechoslovakian Wolfdogs aren’t showing much evidence of inbreeding, despite starting from such small numbers. This bodes well for breeding out some of these hereditary conditions in future, by rigorous screening and making careful mating choices. If you’re tempted by a Czech Vlcak as your next pet, another important matter to address is whether it is legal to own one where you live. The law varies widely across the country. Some states ban wolf hybrids outright; some permit them with restrictions (for example only dogs more than five generations removed from their most recent wolf ancestor); and some states even have different rules in different counties. What’s more, because wolfdog ownership is (in the slow-paced world of law-making) still a recent development, the law is constantly changing as legislators decide their positions. As of early 2014, there were only 208 Czechoslovakian Wolfdogs living in the US, across 29 states. With such a small population, so widely dispersed, breeding new litters of puppies with out contributing to inbreeding of the pedigree is, as you can imagine, something of a logistical challenge. The Czechoslovakian Vlcak Club of America lists only three recognized breeders in the US: one each in California, Texas and Michigan. But in fairness, very few homes are suited to this controversial mix. The size of the existing Wolfdog population and the shortage of Czechoslovakian Wolfdogs breeders means that finding a Vlcak puppy can be a real waiting game. Breeders of sought-after dogs begin sifting through expressions of interest and vetting prospective owners well before puppies are born or even conceived. So all you can do is register your interest with breeders, and be prepared to travel to meet them not just when you pick up your pup, but before then for an interview too. Well-reared Czechoslovakian Wolfdog puppies are not cheap. This is partly because they are rare – breeders are able to command higher prices for them. Breeders may also need to recoup some of the cost of the extensive health screening needed before the mating took place. Since the Czechoslovakian Wolfdog population in the US is so scattered, they may also need to recover the cost of transporting one or both parent dogs for the mating to take place. Don’t be surprised to discover that a Czech Wolfdog puppy will set set you back several thousand pounds. Is a Czech Wolfdog a good pet? Getting a wolfdog isn’t for the faint-hearted or inexperienced. In fact, we sadly could not recommend them to most people. Especially not families with children. Their needs and temperament are unlike any “regular” pet dog, and even when you’re confident you can meet them, you’ll need deep pockets and a lot of patience before it’s time to bring one home. You’ll need lots of time to dedicate to training and working with your dog, and you’ll need to be prepared to deal with other people’s concerns and anxieties about their ancestry. The level of special care, and the risk of owning a wolf hybrid, means that very few people should consider this breed. There is also the tiny gene pool to consider, and the fact that their health is in serious question on this basis alone. Fortunately, there are some lovely wolf-like dog breeds that you might like to consider as alternatives. And you can find out more about the dogs that look like wolves here. Do you own a Czechoslovakian Wolfdog? Please, PLEASE tell us more about them in the comments section. We have 3. They came from Poland and Czech Republic. They are definitely different than a regular dog. They are harder to train and require high reward treats and not much repetition. They are not hybrids as others have stated in comments. They are an AKC recognized breed. I love listening to their music. Howling is so much better than barking. Our other dogs have taught them to bark some though. It’s more high pitched and short than our shepherds. We had a wolf hybrid and she was the most intelligent animal we have ever had the pleasure to have. She was great with other animals, we had two little mixes which together weighed 25lbs. She protected them and treated them as her own. I highly recommend to socialize them as often as you can. She was amazing with other adults but not good with children at all. They do need a lot of activities and exercises. She was crate trained and loved her crate. She would go on command but also to relax and have alone time. You have to be a strong domint person to have a hybrid. You command the authority and they follow. Command is not physical but your tone and presence. She was defiantly a one person animal. She followed the leader and played the others. It was the very interesting and entertaining to watch how she interacted with others. If you have the experience, patience and time to devote I highly recommend a hybrid breed. If not you are asking for trouble and issues. Hybrids unlike regular dogs show true emotion, loyalty and order. Unfortunately from my experience and others I know that have had them health issues are a major concern and finding a vet willing to treat a hybrid could also be an issue. It’s kinda hard to pass off a hybrid with a thick coat and Amber eyes as a mix or mutt. Our hybrid only lived 5 years as she had bone cancer but she was the most amazing and loving animal we have had. I would never trade that experience. We have had over 10 dogs from Rotts, Pits, Labs to Bichon and mixes. Kaya will always stand out with her own with personality, intelligence and strength like none of the others. Don’t be fooled these primal dogs are a real commitment and have special needs. They are extremely intelligent dogs who will do things to please themselves rather than their owner. They can be very skittish and afraid of strangers. They will run rather than protect you but in certain conditions can take over the dominant role by fear that you are not doing your job. This can lead to some dangerous situations with strangers. Personaly I have had to change all of my window handles for lockable, put child locks on all the kitchen cupboards, never leave any edibles anywhere under 5ft high or in the bin and block or lock all the inside doors. Mine in 2 months has already eaten the laundry basket, and the toilet seat, ruined some curtains, a duvet, bed sheets, made a hole in the sofa, chewed door handles and left enough hair to make a matress. If you have no experience of primal dogs or have an indepth experience with larger dog breeds (or cherish your furniture) this dog is not a good choice. On the good side they are very attached to their owner can normaly live with cats or other dogs with serious training and don’t have any inbred health problems (if from a serious breeder). They can live easily with children just like german shepherds but can be a little too active (knocking smaller children over). These dogs are NOT wolf hybids and should not be considered as such. Where did you get yours? It seems very hard to find a breeder. Im unsure if the Vlack is different to the average wolf dog. We had the honor of having a wonderful male wolf dog as part of are family for 15 years. He was a wonderful addition to are family who grew up alongside and helped raise are boys. In the begging it did take a lot of training he went thru service dog training the first year of his life. This did help a lot in the first three years of his life when he would have been at his most destructive. Instead he learned to fetch the diaper bag and became a second set of hands. As he aged I did not keep up with his training so he only did his tricks when he felt like it. But he was a joy who loved cats often times lettimg strays eat his food he spent hours running along side as we went for trail rides. And even when he was badly injured refused to bite. My point is many vets and trainers told me he was not meant to be a family pet including the vet who treated him when he was injured. Buy the end of guardians stay the vet had changed his tune saying he had never met an kinder animal who was easier to work with. Had I listened to others I would have missed out on one of the best things in my life. Breeding does effect a lot but dogs are unique. Be prepared for the work adopting any type of wolf dog is like having a child a wonderful commitment you must be prepared for. I have had a female CSV for nearly 4 and half years now, absolutely fantastic dog, challenging to keep yes, but incredibly rewarding. Very loyal, exceptional at communicating, I ask her to “show me” and off she goes to show me what she wants! Generally good in the house, can have random bouts of howling for no apparent reason. Like the alsations I had before she likes the woodfire, sitting on the sofa and plenty company. Not easy to train though and doesn’t respond to reward or clicker approaches. Positive reinforcement is the only thing that I have any success with. She enjoys hiding things around the house in a sort of doggy hide and seek game, clearly very intelligent and needs interaction to keep her from being bored. Lovely dog all round and I can barely walk her for people stopping us to say how beautiful she is. I feed her on raw food with a vitamin B supplement and have a local vet who is familiar with the breed which is useful. Not aggressive but will chase down smaller dogs, and anything that runs really! How hard was she to buy?